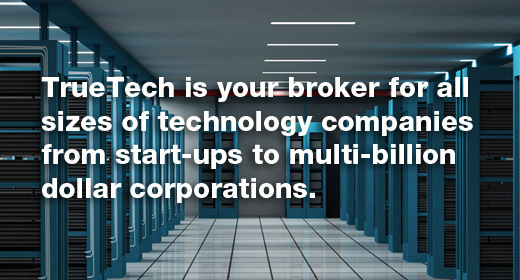 There’s no smarter business insurance partner than TrueTech. We know that the majority of technology companies operating today started with an entrepreneur and an idea. We seek to serve that entrepreneur and their vision for success. Our relationships are long lasting because we work to impress upon our clients that we are in business to serve the risk taker by transferring their risk to highly calibrated and sophisticated underwriting teams who value the risk taker as much as we do. Your success is our success. We recognize that the least disruptive loss is the one that never occurs. With a broad array of expertise in middle management accountability, ergonomic assessments, slip/fall analysis, fire protection systems, sprinkler plan reviews, infrared testing, risk transfer, foreign products liability and more. Our Risk Control consultants have a long and successful history of helping businesses protect workers, safeguard assets and improve productivity. We offer a comprehensive package of risk control services that can help your business avoid costly work stoppages. We provide a consistent, seamless approach to claim handling, beginning with initial claim reporting and ending with the final resolution of a claim. Our claims experts understand coverage and will see to it that your claims are handled promptly. Insurance carriers promise claim protection, if your independent broker partner that secures claims are paid. True and Associates has many cost and case management programs designed to help manage and mitigate the overall cost of loss, including: medically-approved return-to-work programs that consistently return injured workers back to work quickly and safely; legal services that concentrate on controlling expenses and providing fair outcomes; medical peer review for a number of specialties; and state-of-the-art online budget, billing and communications systems — just to name a few. True and Associates broad portfolio of products goes beyond the standard business coverage’s. We offer the key coverage’s you need to protect your business. These and other cost management programs help you save substantial claim dollars and help improve productivity. Products & Completed Operations Liability — Part of a business liability policy that covers an insured for bodily injury or property damage liability to members of the public while they are on your premises. Security Breach Notification Expense Coverage — Underwriters expense to notify your clients of security breach. Information Security Liability — Information Security and Privacy Insurance provides a variety of industry-leading coverage’s for emerging data security and privacy exposures facing companies today. Errors & Omissions Liability — a form of liability insurance that helps protect professional advice- and service-providing individuals and companies from bearing the full cost of defending against a negligence claim made by a client, and damages awarded in such a civil lawsuit. Communications Media — Provides for coverage against defamation and invasion of privacy claims as well as copyright and/or Trademark infringement. Foreign — A specialty policy for an insured’s liability for foreign operations arising out of a permanent branch office, manufacturing facility, construction project, or other operation located in another country. Property Supply Chain — Risk assessment coverage to determine the impact to your business if one of your providers is unable to deliver the products and services necessary for your business to operate. Key Man — “Key Man” insurance is a life and/or disability policy taken out by the business as a beneficiary in the event of death or disability to a particular key employee. Workers Compensation — Provides wage replacement and medical benefits to employees injured in the course of employment in exchange for mandatory relinquishment of the employee’s right to sue his or her employer for the tort of negligence. Automobile — Protects vehicles owned by your business for both liability and replacement purposes. High Umbrella Limits — provides catastrophic loss protection when the underlying insurance is inadequate. Any last questions or comments? You will be contacted within the next 24 hrs by an insurance specialist.